Moraine Park Technical College, a WI based institution, switches from Ellucian® to BlackBeltHelp 24x7 Help Desk Services. Cleveland, Ohio, February 2017: Moraine Park Technical College (MPTC) recently switched to BlackBeltHelp to provide around the clock Help Desk support. MPTC rolled out the RFP in the Month of Nov, 2016 and after several levels of scrutinization, evaluation committee selected BlackBeltHelp to provide Help Desk Support to their students, staff and faculty. MPTC was facing many challenges like Knowledge Base not being properly followed, longer resolution time resulting in customer dissatisfaction with the current Help Desk provider. This made MPTC to separate their paths with Ellucian® Help Desk and join hands with BlackBeltHelp. BlackBeltHelp Help Desk will provide anytime, anywhere support to assist MPTC end-users via phone, Email and chat. Moraine Park Technical College (also MPTC) is one of 16 technical colleges in the Wisconsin Technical College System and is led by its president, Bonnie Baerwald, and the Moraine Park District Board. The college features over 100 associate of applied science degrees, technical diplomas and certificates, with classes and labs taught by instructors with real-world experience. Traditional classroom, online and blended formats are available at the College’s campuses in Beaver Dam, Fond du Lac and West Bend. 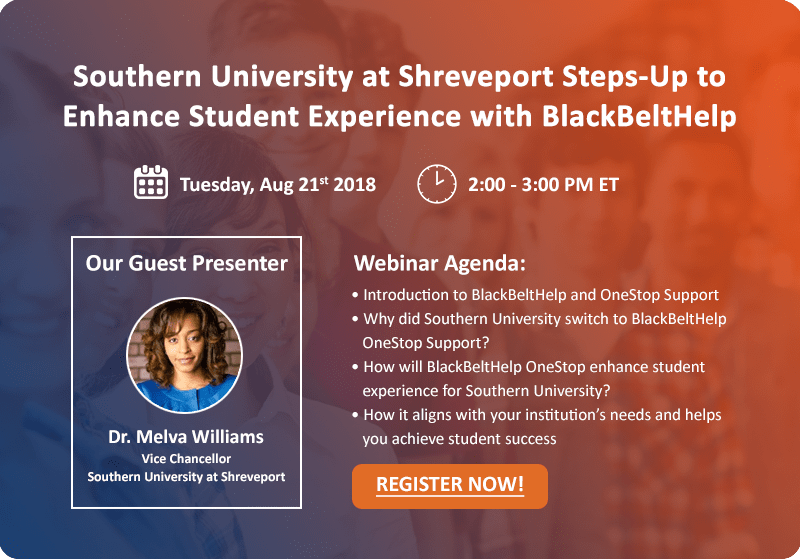 Student support services available include financial aid, job placement, career counseling, tutoring and assistance for students with disabilities.